Misconceptions about salt system installations lead many people to be misinformed about the purpose this pool maintenance mechanism serves. 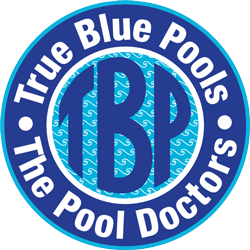 With help from True Blue Pools, you can get answers to all your queries regarding pool salt systems and their function. For nearly a decade, the experts at this pool company have provided top-tier installation and upkeep services to Lexington, KY, residents. Below, they answer some commonly asked questions to remove any confusion surrounding salt systems. What Purpose Does the System Serve? The process protects your family from the irritants in chlorine by employing a specialized pool sanitization system. This system produces sufficient chlorine to sanitize the pool and maintain its hygiene value. Salt system installations rely on electrolyzing salt water into chloride and sodium ions. These free radicals react with pool impurities to ensure proper cleansing and keep your pools fully sanitized for regular usage. How Does It Prevent Irritation Since It Still Contains Chlorine? The chlorine produced by dissolving sodium chloride tablets is inherently different from the chemical you normally find in commercial pool cleaners. As part of the salt system, chlorine performs much of its sanitization function in the pipe and clears away quickly. What’s the Quantity of Salt Used? A common myth about salt systems is that they convert the water in your home pool into seawater. The amount of salt these systems employ is hardly a teaspoon per gallon, which doesn’t make an impact on the softness level of your pool water. Do You Still Need Algaecide? A little-known fact about chlorine is its effectiveness in addressing the onset and growth of algae inside your pool. With an efficiently running salt system installation, your pool should be able to maintain adequate chlorine levels without needing additional algaecides. For the most cutting-edge salt system installations in Lexington and the surrounding areas, turn to True Blue Pools. Learn more about their pool maintenance services by calling (859) 523-0755 or visiting their website. You can also follow their Facebook page to check out the impressive pool designs and services they offer.